System 3 will obtain 3 quotes from leading manufacturers including Synseal, Rehau, and Kommerling gold. We will advise you on the most suitable product that meets your needs. Replacing your windows can give your property and whole new look and reduce energy bills. Choose from U-pvc, hardwood and aluminium. All available in a range of popular colours. We can offer these in A or C Energy rating. Double Glazing Windows have a 28mm glazing unit. The outer glass has an outer coating that allows solar energy to enter the room and also reflects warmth back into the room. Coupled with warm spacer bar and argon gas between the panes is the best option available today. Triple glazing is available and we can discuss the benefits. Why choose system 3?. We have over 30 years experience in supplying windows and doors throughout the region, Northumberland to Teeside across to Bishop Auckland. We have many happy customers who have recommend us to their friends. 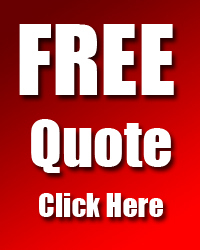 Call us today on 0191 527 2883 for a free no obligation quote.